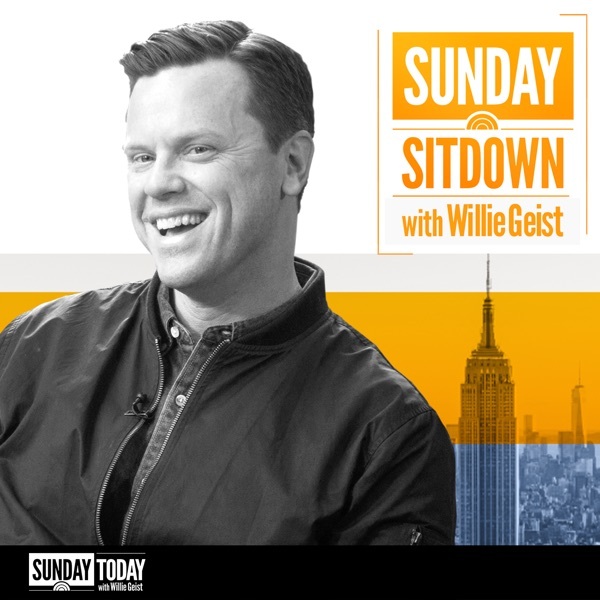 Sunday Sitdown with Willie Geist | Listen Free on Castbox. NBC's "Sunday TODAY with Willie Geist" provides sharp, conversational coverage of the day's news, along with in-depth profiles of the people and ideas shaping our culture. In his “Sunday Sitdowns,” Geist chats with some of the biggest names in news and pop culture, from actors and musicians to presidents and CEOs, about the stories behind their success. This podcast features the full, unedited versions of those conversations for an even deeper look at the names in the headlines. "Sunday TODAY" airs live on NBC from 8 a.m. - 9 a.m. ET. Check your local listings. Great podcast. I really enjoyed the insight to producing yourself. Kevin you're brilliant. Willie I'm happy to find out about this podcast. I feel like you are asking the questions for me. Thanks to you both. I love this app.... period! I love this show, try to watch it each weekend. He does a great interview... So I was excited to see that there was a podcast. But the audio is a bit off. The guests is a little low and it's just kinds difficult to hear what people are saying. But that's just me, thanks. Take it easy. Could you ask Benedict why he has worn the same sweater yo every interview reference The Grinch. Am I missing a connection? Wish the podcast was recorded a bit louder...can only listen with headphones on. Awesome podcast w/Ina Garten. I could feel the warmth and smell the food. the audio of the guests is weak and prevents me from seldom finishing a podcast. Tom Blaine A bit like NBC's closed captioning... terribly behind! Come on NBC!